Ainsley ‘Notnice’ Morris says he is not surprised that his smash hit ‘El Chapo Riddim’ was stolen. 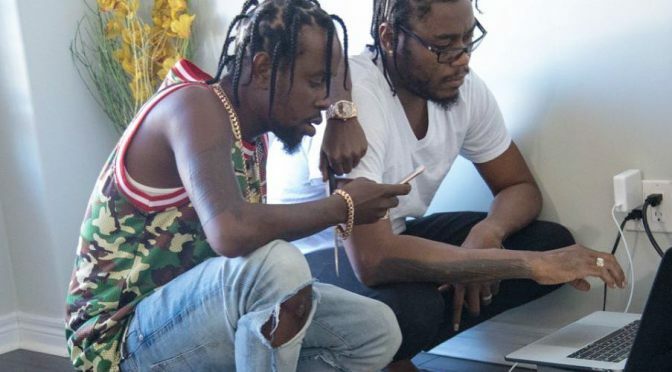 The popular producer along with Dancehall artiste Popcaan took to social media recently to blast record label Good Good productions for allegedly jacking their project for the new ‘Life’s Path Riddim’. Popcaan first brought the similarity to Dancehall fans attention after a snippet was uploaded on Good Good Productions’ official Instagram account. Notnice added that he is honoured to know that his work is inspiring other producers however they need to give him the credit he deserves. Stream Masicka’s ‘Dem Nuh Happy Fi We’ featured on Good Good productions ‘Life’s Path Riddim’ and Popcaan’s ‘El Chapo’ and let us know if its the same beat.